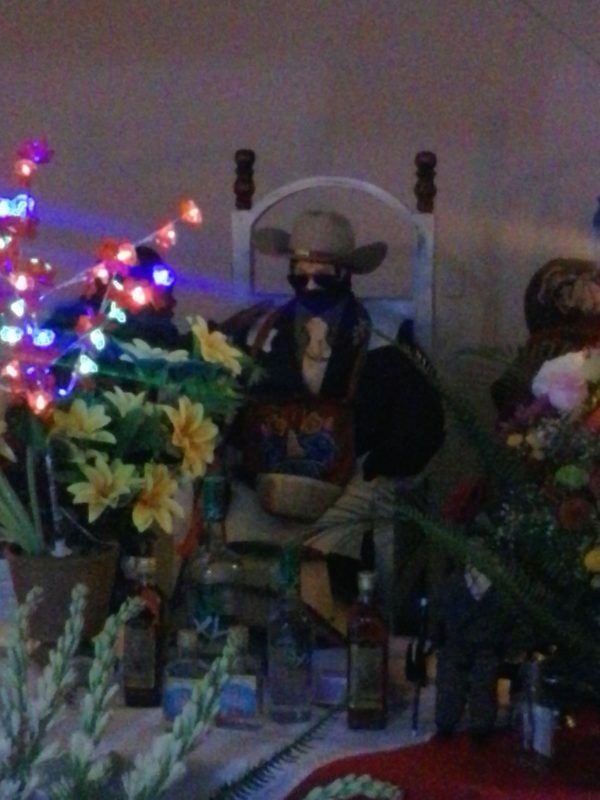 The cult of Maximón is alive and well in the highlands of Guatemala. Here, Mayans worship a deity thought to be a mixture of a few of their gods, as well as the conquistador of Guatemala, Pedro de Alvarado, topping it all off with a wee bit of Judas thrown in for good measure. He represents good and evil. Here in the town of Zunil he is known as San Simón and his likeness can be just as different as the name he goes by from town to town. Further up in the highlands he is known as Rilaj Maam. Just how he is revered seems similar from place to place. 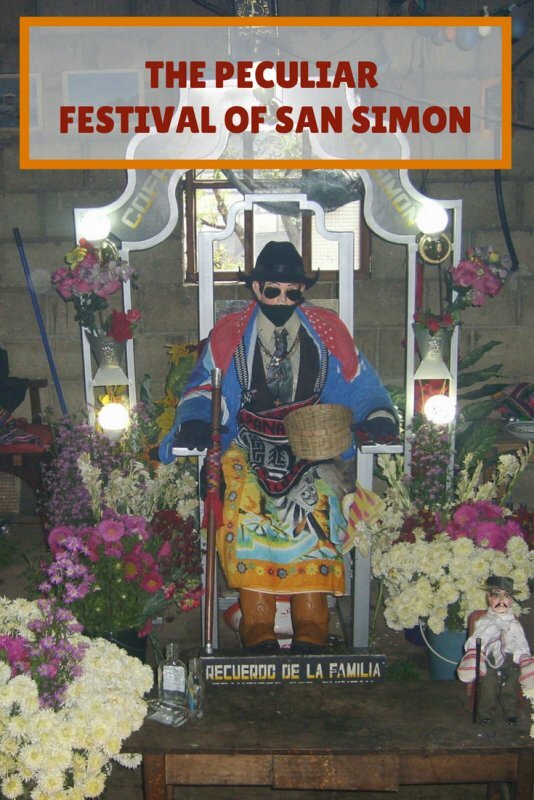 He even has his own festival on October 28th, when he is moved from one caretakers household to another, where the idol will remain for a year. Your Drifters were lucky enough to be in the area on said date, and were even more lucky to be invited to join the festivities, for this a serious affair for members only. This was our second visit to Zunil over the years to see Maximón, but we were thrilled to be here again for the festival. As mentioned, worship here is a very big deal. To outsiders it can seem a bit strange. 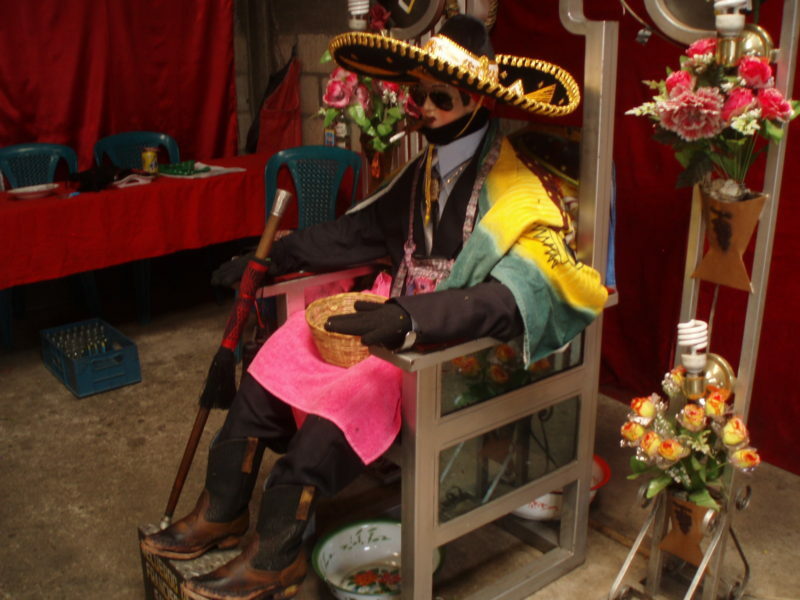 The effigy in Zunil looks like what can only be described as a waxy mannequin wearing a black suit and sunglasses, with a poncho and a sombrero. Attendants hover around as the figure sits in a chair, decked out in his garb, while a lit cigarette dangles from his mouth. It must be said the ciggie is lit for him by the attendant, who also ashes it. Those ashes are sold to the faithful as a cure for insomnia and the butts are sold for warding off thieves. His followers bring him the smokes along with the local firewater, which is poured down his throat as his throne gets tipped backwards to take in the hooch. Framed photos and ceramic miniatures are for sale. Seeing this for the first time in 2009, was a bit surreal. Devout Mayans were praying on their hands and knees to this giant doll, placing different colored candles all around; white for the welfare of a child, yellow for bounty in the fields, red for love, and black to wish harm on an enemy. 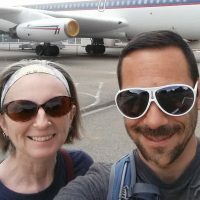 Our experience was a bit different this time around. 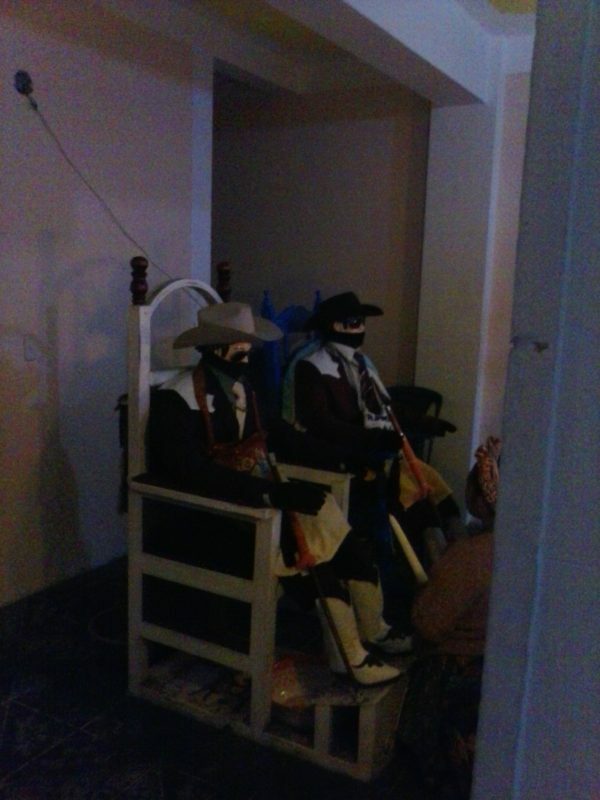 For the festivity there were 3 stars of the show; the poncho-wearing man in the suit who we recognised – this time wearing a more traditional cowboy hat – along with a twin, and a dwarf effigy in a tiny chair. Was this a Maximón from another town? Could this be Rilaj Maam? Whatever it was, it was being ignored compared to the life-sized gods of good and evil, who were residing over a rather impressive audience. Followers were coming in and out bearing all sorts of gifts, including booze and cigarettes. In a matter of no time we were welcomed by a few people in the crowd, and were given bowls of soup and tamale-like goodies to eat. We thanked them, only to be told to thank the man in the chair himself. All those yellow candles must have worked. Our lack of decorum for not bringing an offering was handled well by the crowd, for they were giving us shots of aguardiente to offer San Simón. At first we thought this was for washing down the plentiful dinner we were given, but soon enough we were alongside one of the gods, pouring this moonshine down the his gullet. The celebration carried on across the alleyway to a large cinderblock building. 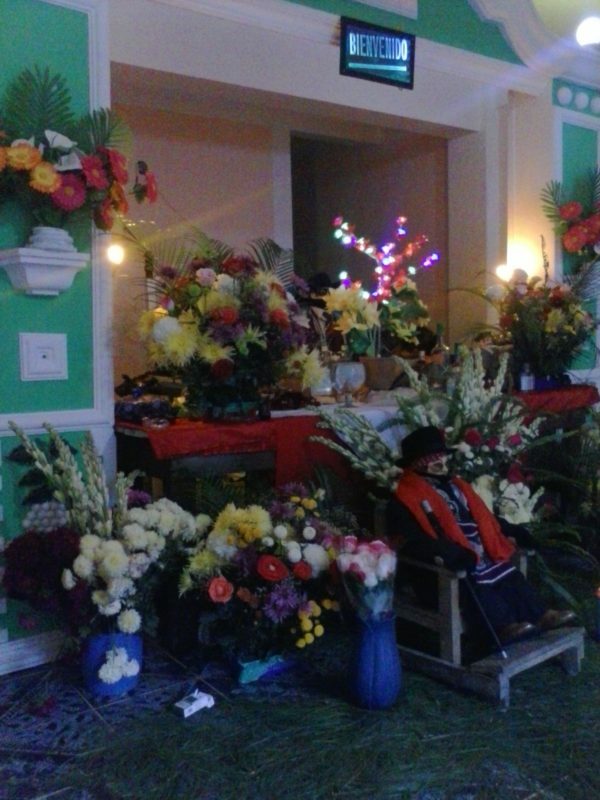 Tables were set up, as well as a stage where a 6 piece band was belting out Norteño tunes. The band was dressed in all white hats and suits with red fringe. 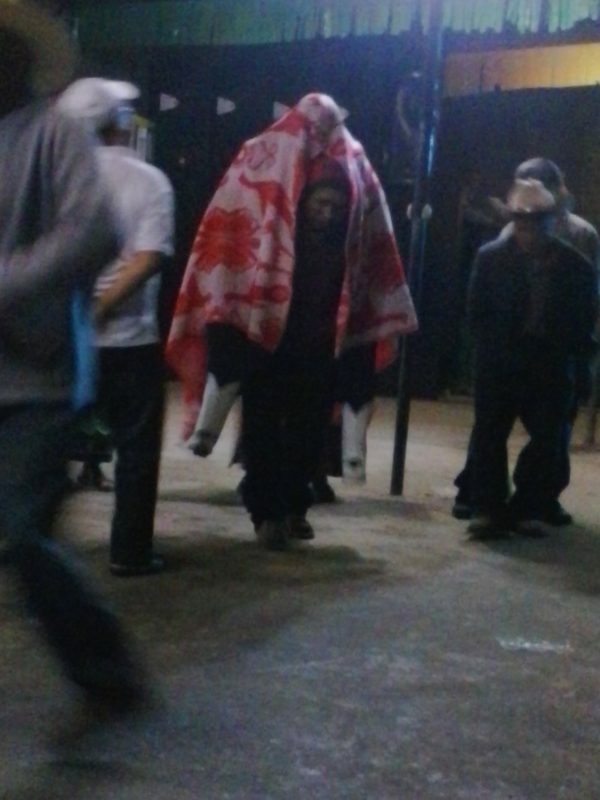 Campesino men and teenage boys were drinking hard and spitting up in the corners of the room. Mirth was being made by all, and San Simón himself came out to oversee the boisterous crowd that came and gathered to drink and dance. 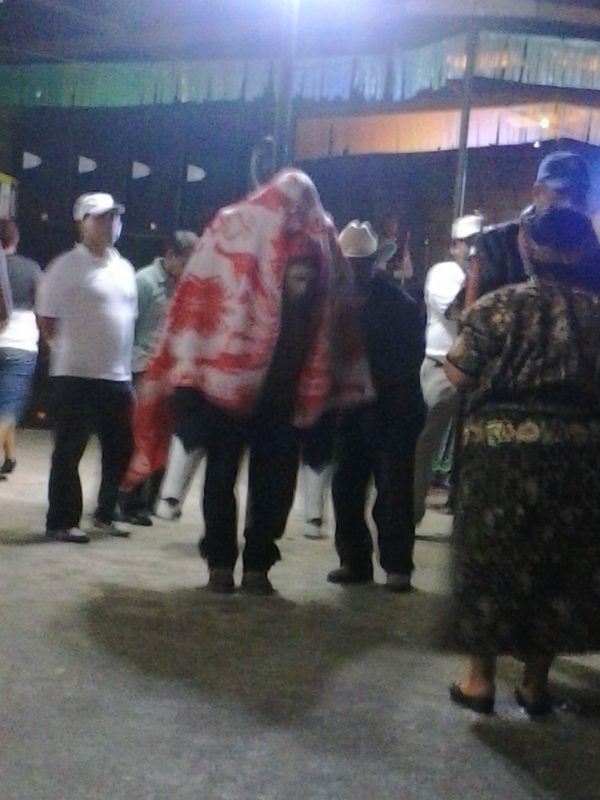 An inebriated man was carrying the idol around on his back. Visiting San Simón on that first trip to Guatemala years ago stuck with us as one of those moments where you become aware of why you are travelling in the first place. One looks for the quirky, the different, the unexplainable, the oddly fascinating, the deliciously absurd. 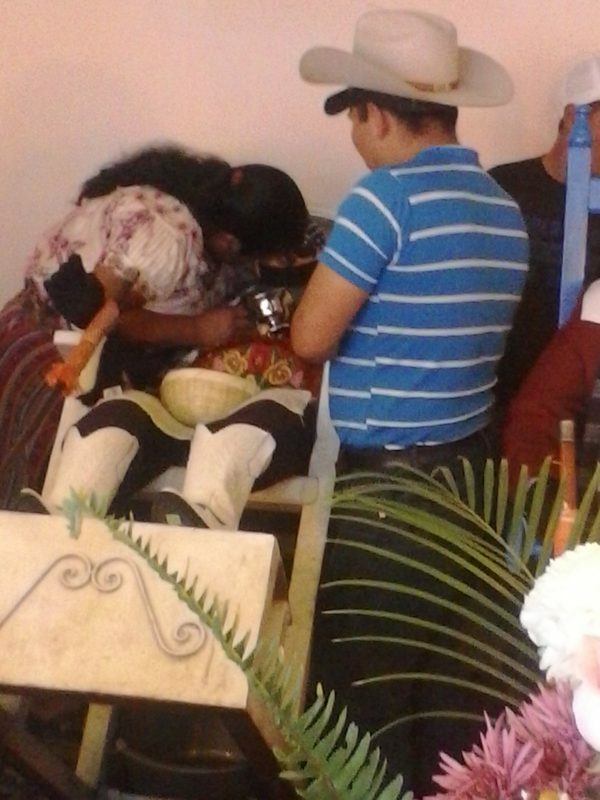 Guatemala has that in spades and seeing that figure being worshipped was a mind bending experience, one we knew we would love to see again on the feast day. Again, we considered ourselves very lucky to be given this chance; to be here at the right time and to be allowed to join in. 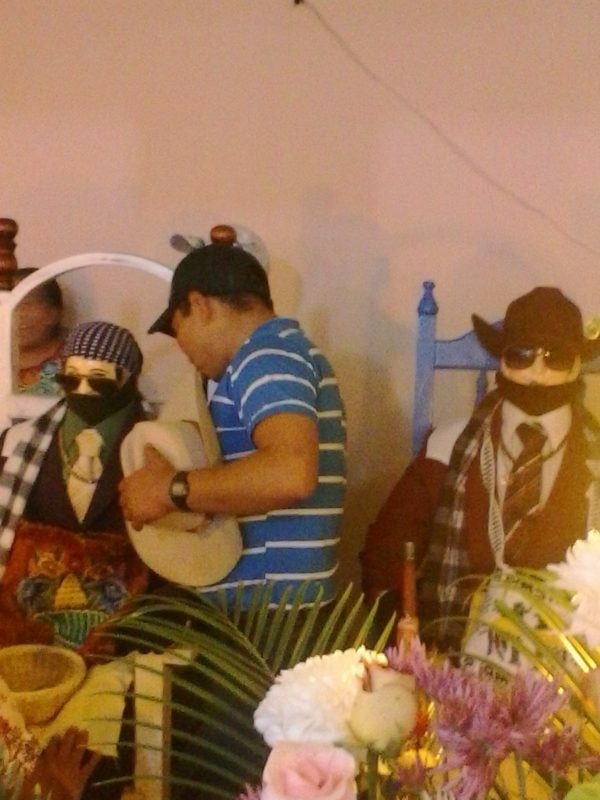 We were the only 2 curious gringos there that day, in a very traditional town during a serious religious celebration. San Simón, nosotros disfrutamos su dia en Zunil. Muchas gracias!